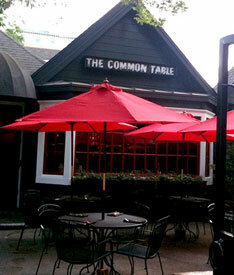 If you enjoy taverns but not the college crowd that dominates Uptown, head to The Common Table. Dim lighting, dark wood, and an older crowd make us feel right at home. Order off the list of specialty cocktails and craft beers. If you miss happy hour, don’t cry. A reverse happy happens from 10pm to close. Enjoy brunch 11am-3 pm on Saturday and Sunday with $2 mimosas and $5 Bloody Marys.